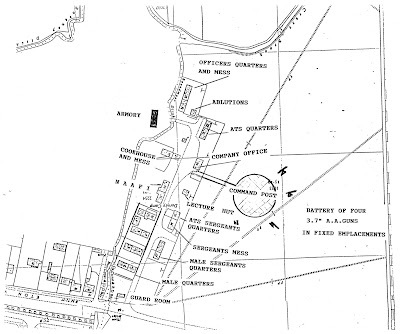 Eton Wick History: Dorney Common anti-aircraft battery 1940-45. 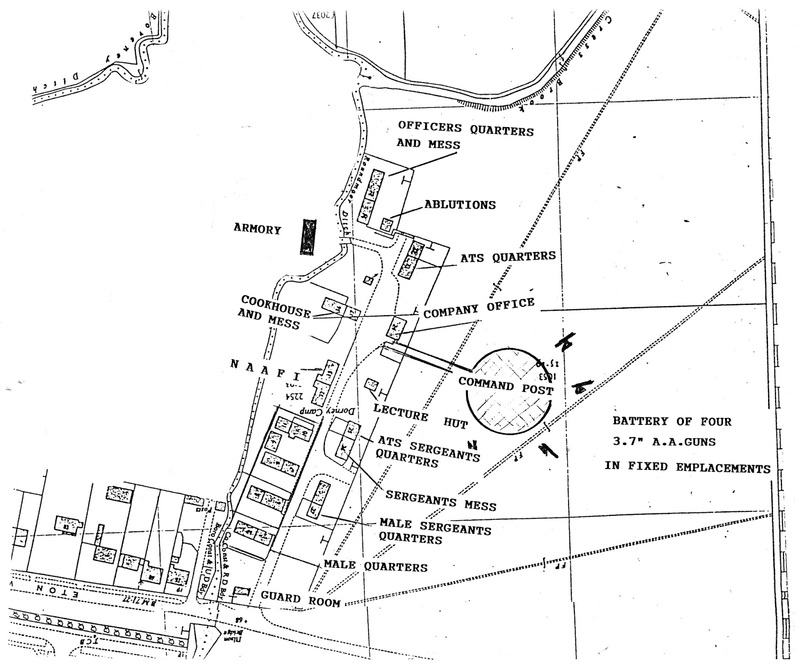 Dorney Common anti-aircraft battery site plan. 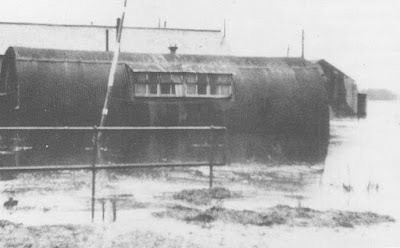 The first territorial anti-aircraft (ack-ack) unit arrived on the Dorney Common site in June 1940. Other local sites included the tower mounted 40mm on the Brocas, Eton. This photograph is of the 564(M) AA. 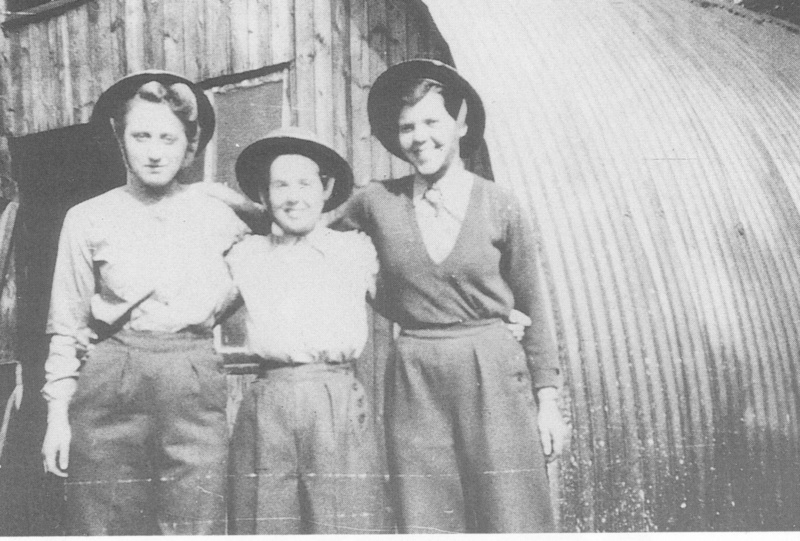 Battery stationed on Dorney Common during 1943/4. The troop manning the 3.7 heavy ack-ack guns shot down a German ME 410 on the night of February 23/24th 1944. The raider crashed in High Wycombe. A number of the service personnel, male and female, married local villagers and set up home in Eton Wick. The Nissen huts of the Dorney Common anti-aircraft battery. When the army left in 1946, the acute shortage of domestic homes caused demobilised local men to 'squat' and set up home in the disused huts. Their new homes and furniture were almost immediately ruined by the 1947 floods, when the residents were evacuated by boat. This picture was taken in March 1947. The huts were still occupied in the 1950s. Three of the war-time ATS girls in front of their Nissen hut home on Dorney Common. The camp and the 3.7 inch anti-aircraft guns were located along the brook, starting immediately adjacent to the south side of the Eton Wick cattle grid. 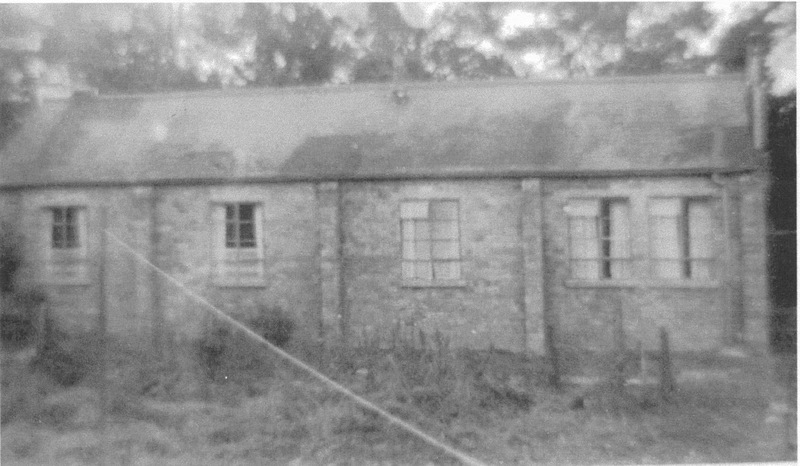 This was the only building of the wartime Dorney common ack-ack site 1940-45 that was within the boundary of Eton Wick. It stood in what is now the garden of No 22 Tilstone Close. After the army vacated the camp in 1945 this building was taken by Eton Urban Council for accommodation, the residents being Mr and Mrs McGill. The vacant huts of Dorney camp became squatter residence before coming under the control of Eton Rural Council. The camp buildings were removed in 1950 having been damaged by the 1947 flood and also having deteriorated beyond use, the land was then restored.